Are you interested in earning the highest interest rate possible on your hard-earned savings without having to constantly chase rates from bank to bank? If so, then read on for a rundown of banks with a history of paying the highest rates. The NY Times “Bucks Blog” recently compiled a list a list of banks that have consistently offered the highest yields on their money market accounts and certificates of deposit (CDs) over the past two years. 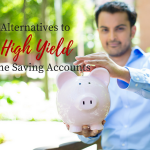 By choosing one of these banks, you can increase the odds that you’ll continue receiving an attractive rate without having to jump from one bank to another. There are some pretty familiar names on the list, including Ally Bank, Discover Bank, and EverBank. Notably absent are popular banks such as ING Direct, HSBC Advance (formerly HSBC Direct), and FNBO Direct. We have an Ally Bank account dating back to when they were GMAC, and I can vouch for their consistently competitive rates. The same goes for Everbank, though they do have a fairly significant minimum balance requirement to avoid fees. Interestingly, we just recently became the proud new owners of a Discover Bank account when our old E*Trade bank account was transferred over to Discover. I don’t have much experience with them, but I’ve heard good things. @Ken #3 – if you look at the small print on UFBDirect’s webpage, it also says “Rates as of 6/17/2009.” Fishy. 1. By submitting your application for a product or products, you authorize us to obtain a consumer credit report as part of your application review. So, I think it may be standard practice that all banks pull your credit history, at least to verify that you are who you claim to be (address matches, etc) — to prevent identity theft/fraud. #5 jackie) Why would a bank require a credit check for a deposit account? That’s nuts. I’ve used Ally bank (online savings) for the past year or so, been loving it. Very simple/easy to use online interface, no fine print, top rates in the industry, easy setup of electronic transfers to/from Ally and my credit union and BofA — ’nuff said. I can definitely say that Ally’s customer service is awesome. I have never had to use ING’s. I’m with Discover now and happy with what I have there, may set up an account with Ally to compare the experience. We still have one checking account (for my direct deposit) and our savings sub-accounts (7) at ING, although I have been disappointed that they’ve dropped the rate four times since the beginning of the year…it was 1.3% on Jan 1st and is now 1.1%. 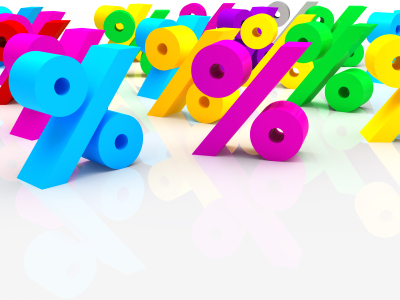 We’ve been opening accounts for our new needs at Ally (CDs and savings) but the difference in rates isn’t enough for us to justify the hassle of actually moving our other accounts over (0.2% for savings and 0.25% for checking). It’s like a difference of $10 a year for us. I was going to open an account with Everbank but after some research online as well as reading through their fine print – I found many people displeased with the amount of time it took for deposits to post and withdrawls to be effectuated. In some cases, a week or more. When Everbank called to find out why I hadn’t yet sent in my documents – everything is on paper and through snail mail, I expressed my concerns and informed them that I’d changed my mind. The woman haughtily responded that it was common for all banks to have several days delay between when deposits and withdrawls posted. I told her that was not my experience with my bank (a not-for-profit credit union). She proceeded to hang up on me. Also, there was a post somewhere that Everbank only made soft hits on credit searches. That it NOT TRUE. Their credit inquiry on my account was a full, hard hit. Can you sset up subaccounts with EverBank teh way you can with ING? 0.00% One of the Highest Rates in the Country! Actually UFBDirect.com had been competitive with its savings account until the bank that holds its deposits was shutdown by regulators a couple weeks ago. Corus Bank and Imperial Capital have also been shut down by regulators. Ditto. Moving over to Ally Bank from ING Direct this month. Bloggers have been posting a lot of positives about Ally Bank lately, I think its time I switch over to them… I’m with Discover Bank now. From what I can tell, Ally Bank is only getting better.